Sehun surprised HIS hyungs at a fan sign event! 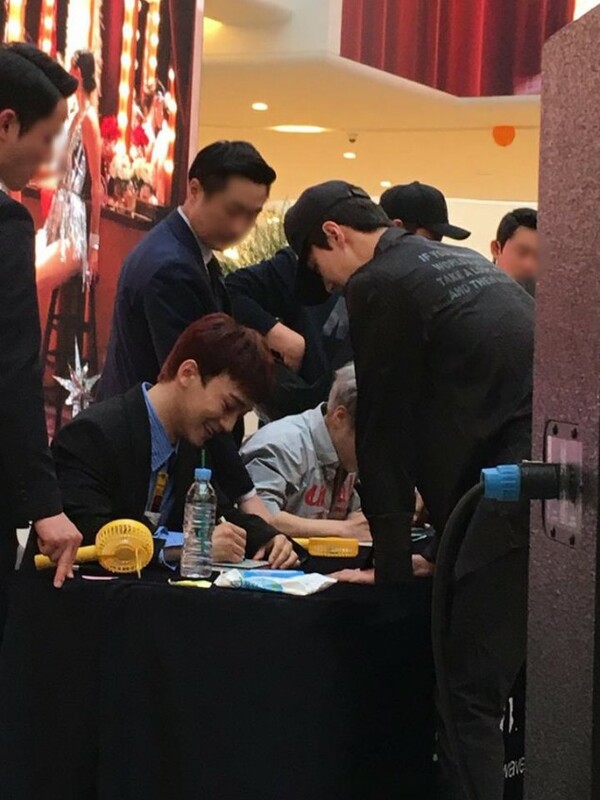 On April 22, EXO-CBX held a fan sign event IN Goyang. Hundreds of fans showed up to receive Chen, Baekhyun, and Xiumin's autographs but it wasn't just the fans who came to see EXO-CBX! 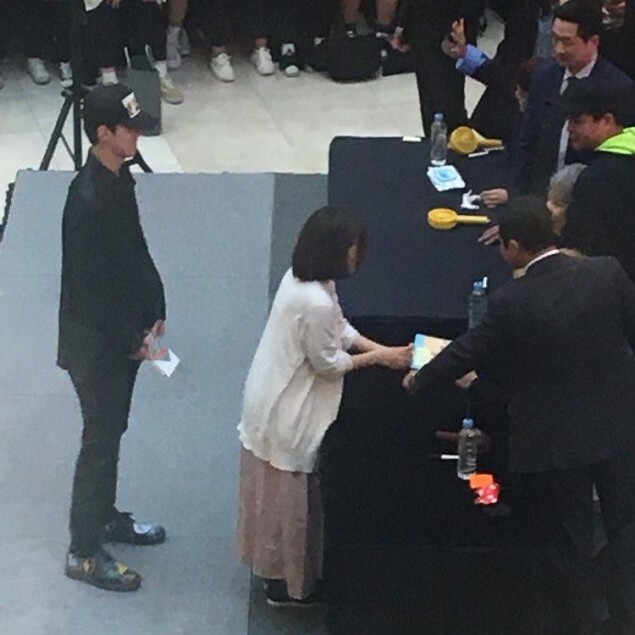 Sehun, the maknae of EXO, also stood in line to get the autographs of his fellow members. At the sight of Sehun, each member of EXO-CBX smiled wide, then burst into laughter! 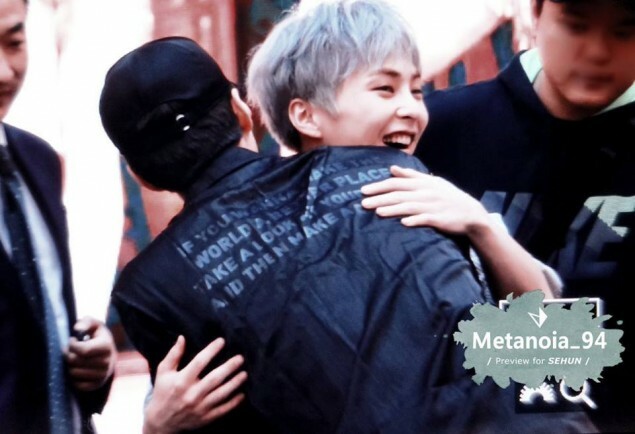 Xiumin gave the maknae some love with big bear hugs. 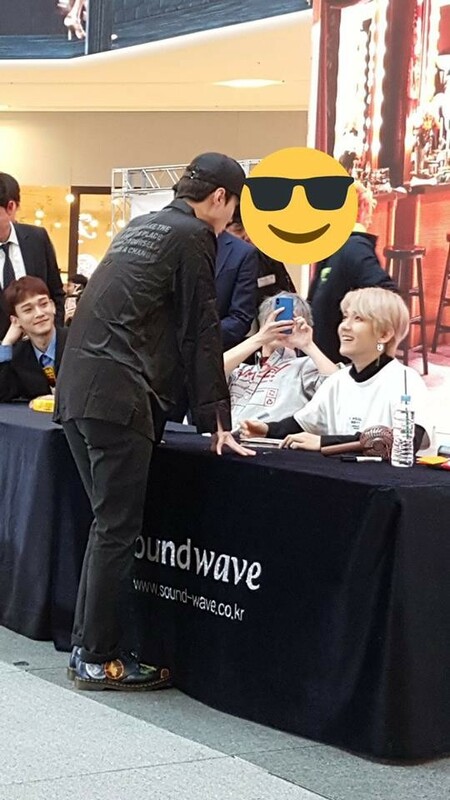 Baekhyun took the time to chat and joke with Sehun. Following the event, Sehun showed off the autographs he received from EXO-CBX via Instagram. He said, "I finally got EXO-CBX's autographs."